Repair the Instrument Panel , etc. Symptoms: MIL on, ECT ECU blinks "O/D OFF" light on instrument panel to warn driver. This Vehicle use DLC No.3, but my scanner CJ-II don't read DTC (SAE-codes P0500 - No. 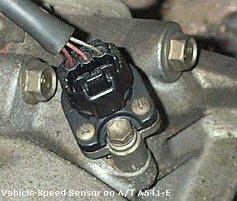 1 Speed Sensor). I use other scanner and had read DTC, Data Sream, etc. 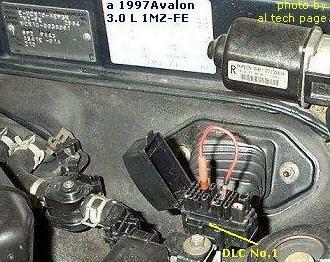 Note: This Car is Right Hand Drive (RHD), though is made in USA and hav't got DLC No.2. Speedometer is functioning properly and Vehicle Speed Sensor (VSS) is good. The Problem was aggravated with that it was not possible to find electric basic circuits of connection of blocks as for Americans this Avalon - the Japanese (RHD), and for Japanese it (he) another's - made in USA. Vehicle Speed Sensor (VSS), driven by transaxle output shaft, outputs a pulse signal to combination meter. Combination meter converts signal to a more precise waveform for ECM and ECT ECU. FTC is set when ECT ECU does not detect any signal while vehicle is in motion. Instrument panel it is executed as printed-circuit-boards about enough complex (difficult) circuit of interpaid connections (photo1, photo2). After comparison of circuits of connection, colors of wires LHD and RHD Vehicles (Lexus, Crown, Camry, MarkII, etc) contact of a socket through which on ECM and ECT ECU the processed and transformed signal of the gauge of speed acts was found. But, alas, at rotation of wheels (Ignition ON, Engine OFF) the signal on this contact was not. After check it is found out faulty Rohm (?) the transistor (TR2, SMD24 - SO T23, npn dtr 50V 100mA 10k + 10k, DTC114ECA-?) 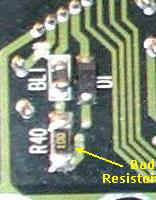 and breakage (crack) of resistor R40 (10 Ohm). 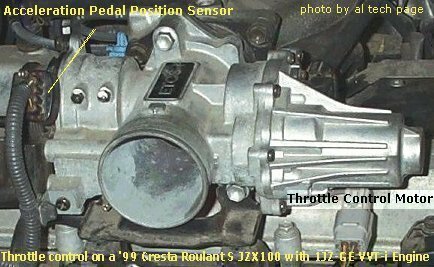 On a '99 RHD Cresta JZX100 I read MIL-code "89", sub-code "23" (Manufacturer DTC p1127 - ETCS Actuator Power Source Circuit Malfunction). 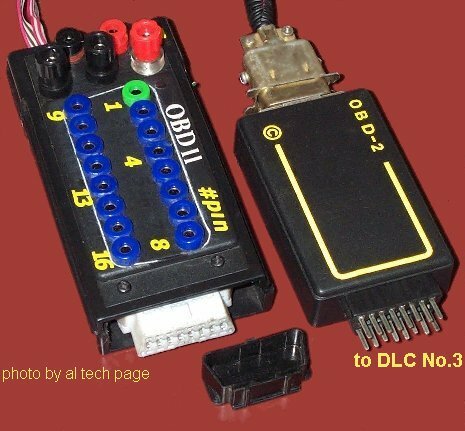 For read code I use this device and had shorting pins TC and CG on DLC No.3. 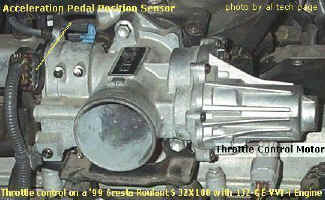 Electric Throttle Control System (ETCS) is composed of the throttle motor to operate the throttle valve, the electromagnetic clutch to connect the throttle motor with the throttle valve, the throttle position sensor to detect the opening angle of the throttle valve, the accelerator pedal position sensor to detect the accelerator pedal position, the ECM to control the ETCS and the one valve type throttle body. If the ETCS has a malfunction, the ECM shuts down the power for the throttle motor and the magnetic clutch, and the throttle valve is fully closed by the return spring. 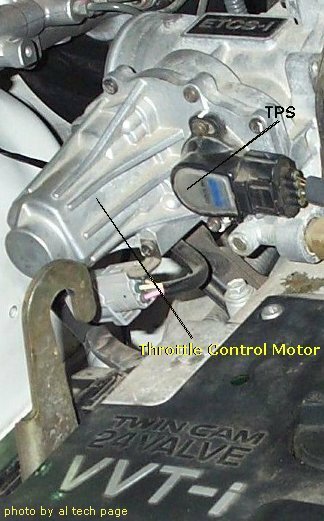 A servomotor moves the throttle to the desired position, and redundant throttle position sensors report the results. If one of the pedal position sensors fails, the car can still be driven, and the check engine warning light is illuminated. If both sensors fail, engine control is lost, and the engine will only idle. 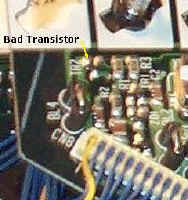 After replace Power Supply Relay, all is O'k. On a '99 RHD Toyota Aristo (3S-GE VVT-i BEAMS) by OBDII-scanners I read DTC P1128 (P1128 - Throttle Control Motor Lock Malfunction) and by shorting above pins in DLC No.3 "Check Engine"-lamp code 89.